Poking fun at the Government is always joyous, so let’s do that. 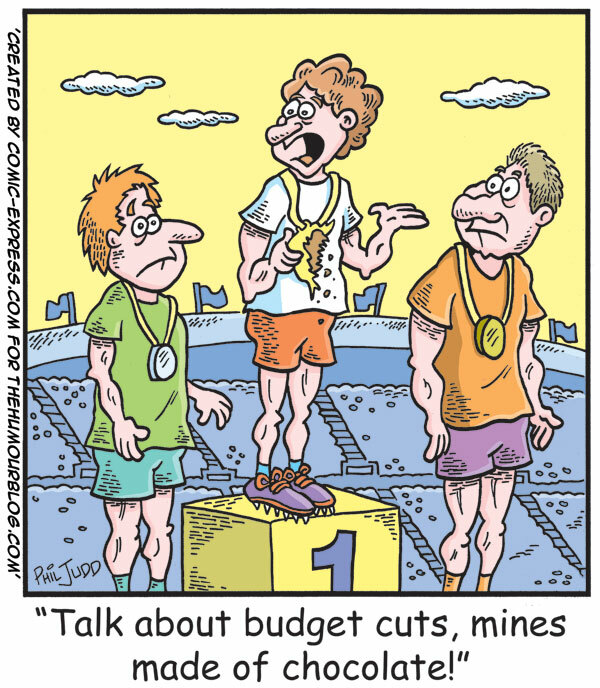 Here is a fun political cartoon about budget cuts. With all of this deficit reduction talk, and politicians looking to save money here, there and everywhere who really knows what will be hit! Seriously though let’s hope the 2012 Olympics in London don’t fall victim at any stage, otherwise the whole of Britain will be the laughing stock for failing to put the big event on in the way expected. You are welcome to add your comments about this cartoon in the section below, perhaps you can think of other captions to go with the pic? It is only a bit of fun so don’t get too political pondering party policies please.